"Sesame Street" is turning 50. To avoid a fashion 911, the crew called on InStyle to dress them in some stylish looks. 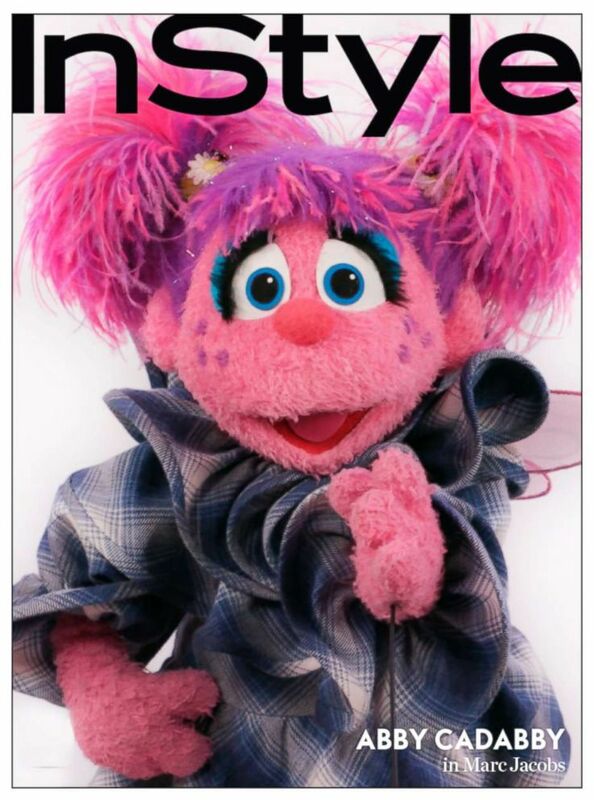 To get all of the Muppets looking their very best, InStyle worked with big-name fashion designers to dress many of our favorite childhood characters in street style-ready outfits. In the video below, the gang gathers together to open an invite to the show's 50th birthday party with a note to dress to impress. Afterward, they head over to InStyle's office to see editor-in-chief Laura Brown and the staff jumps in to help. Read on to see how exquisitely each look came together. 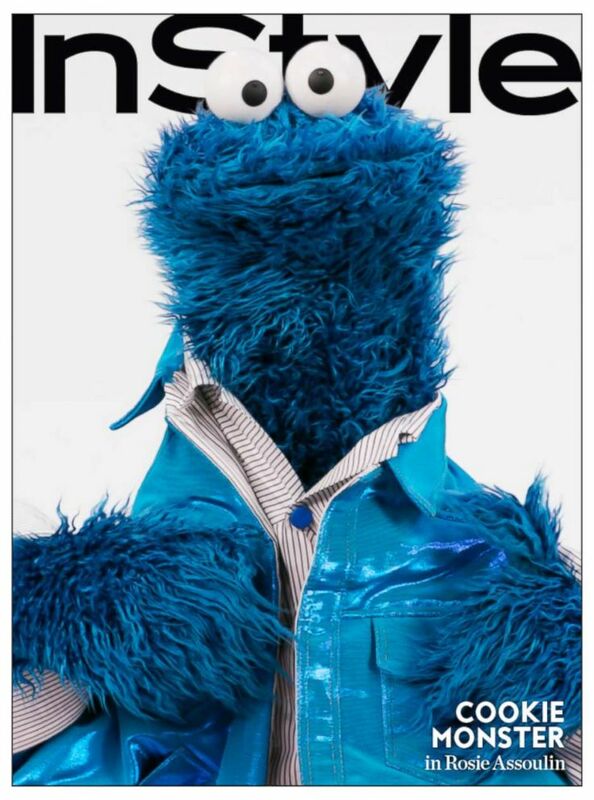 Sesame street characters got a makeover from InStyle magazine. 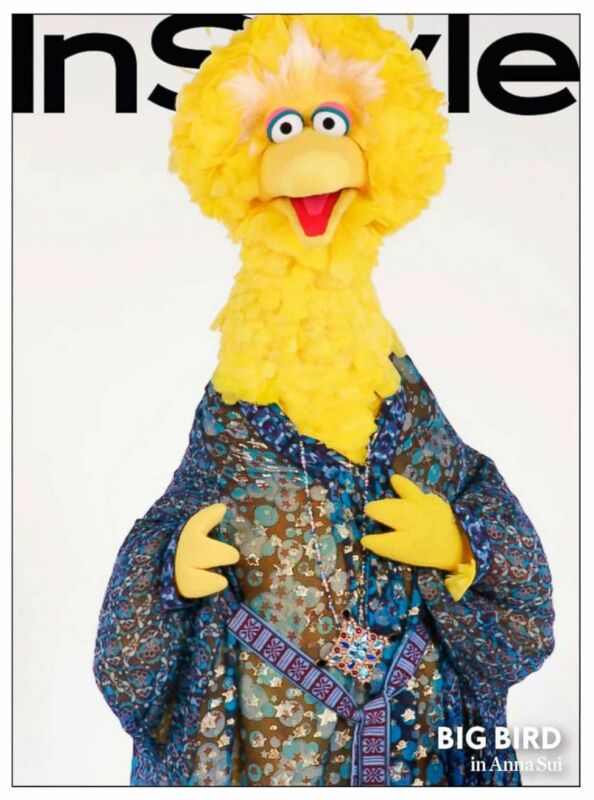 Big Bird was dressed in a "hippie caftan" by Anna Sui, and the designer explained to InStyle that the look was "breezy, optimistic, romantic and nonconformist" to reflect the famed big yellow bird. For Cookie Monster, designer Rosie Assoulin chose to go futuristic with a metallic blue jacket on top of a buttoned-up striped shirt. Abby Cadabby was lucky. Marc Jacobs created a custom dress for her, with plaid ruffles straight from the brand's spring 2019 runway collection. 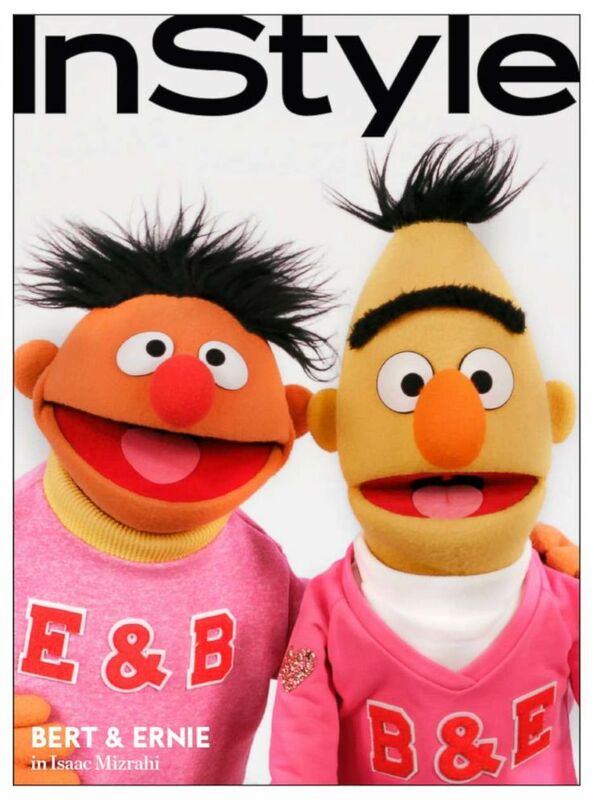 Designer Isaac Mizrahi gave Bert and Ernie updated varsity sweaters in bright pink with red letters. 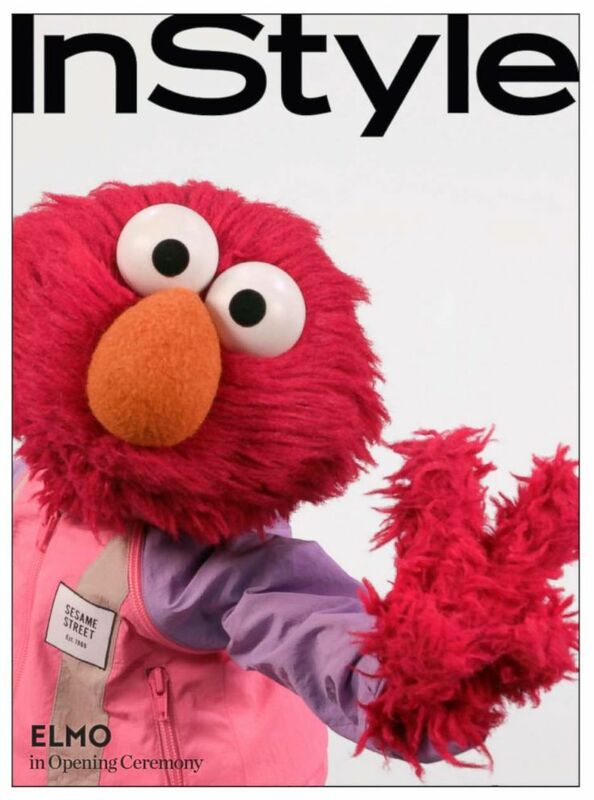 Elmo looks super cool in his Opening Ceremony pink and purple track jacket.